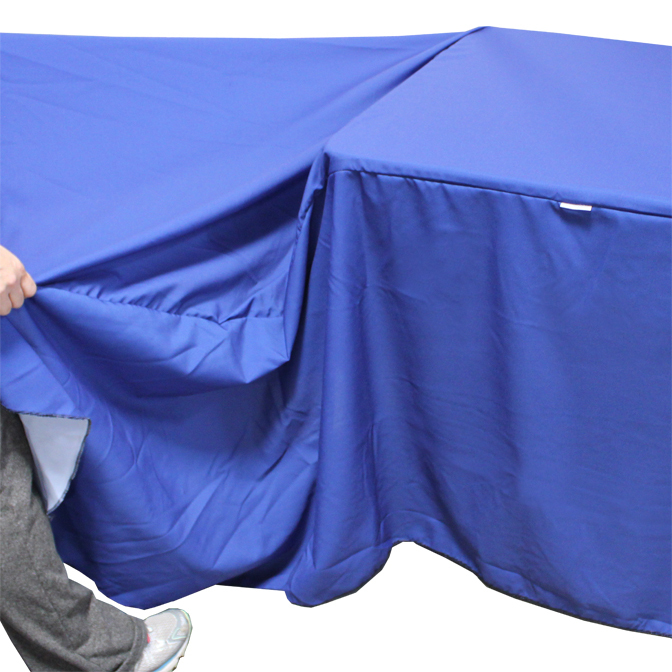 Created to help ease the burden of getting the wrong table size at event halls, Convertible Covers can be used on two different lengths of tables with ease. Simple hook and loop connectors sewn onto the fabric allow the cover to be used in folded or standard positions. 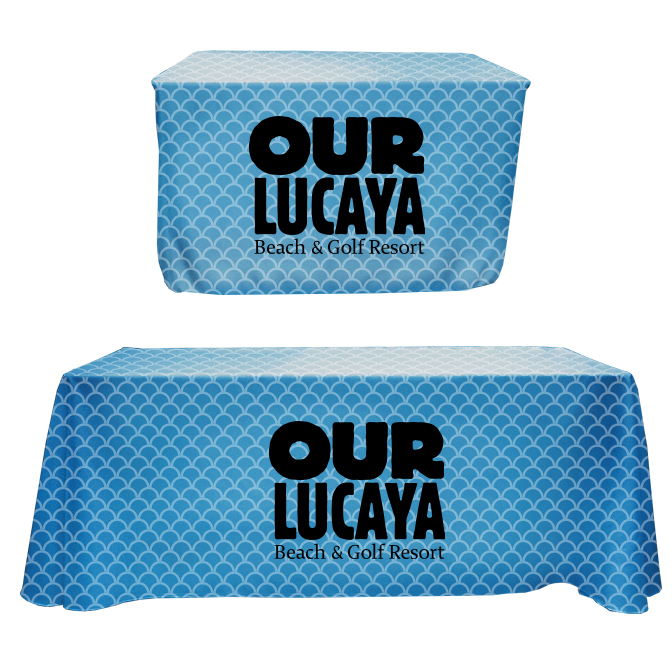 The Convertible Table Cover is best printed in solid colors with a logo, writing, or image in the front section of the cover. This is so that when the cover is in the “smaller” configuration, there is no obscuring or distortion to patterns that are printed on the sides of the cover. Small hook and loop tabs sewn to the hem and back top of cover allow you to pull the fabric up from the sides and around the back, cinching the cover to the smaller size. Video of all table cover styles can be seen here. Print areas on Convertible Covers mimic those on standard draped table covers. Through dye sublimation, images are dyed direction to the fabric to create a lasting image that can be used over and over again. Images, logos, or other branding can be laid out by our graphic department, or if you have graphics software experience you can create your own design using one of our downloadable templates. 100% Polyester fabric allows table covers to be completely machine washable, making clean up after use as simple as can be. The front portion of the cover uses a single main print area size, allowing your logo or branding full view no matter which size your table cover is being used for. You can be prepared for locations where you don’t supply your own table with a convertible table cover – keeping your options open.